Don’t let the name fool you! Rough Life will give you a taste of the high life. Cut smoothly along the Caribbean’s crystal waters and take in the sun, surroundings, and exceptional fish around. Based out of the north-western tip of the Bahamas, you’ll have access to incredible seas in no time. Captain Kenneth Christie has fished these waters since the age of 12 and as a job since 2001. He knows just what’s needed out of a relaxing holiday and fun day’s fishing. Capt. 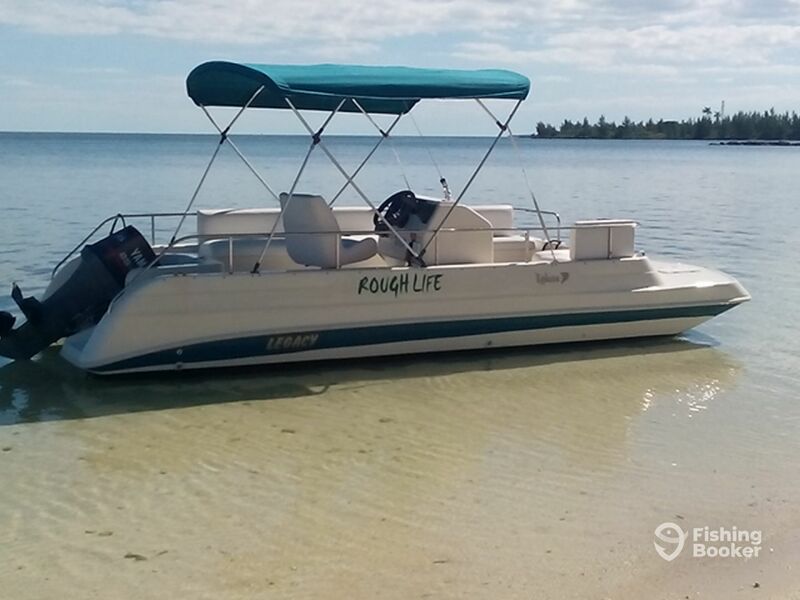 Kenny offers customized packages aboard the “Rough Life,” his 20’ Legacy deck boat. 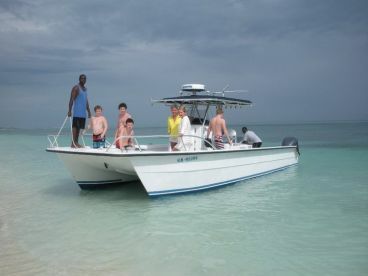 With plenty of comfortable seating available, she has a capacity for 6 anglers per trip, all of whom can relax, enjoy, and get their fish on at the same time. Use the onboard multimedia system to blast out your tunes as you drift along the stunning waters thanks to the 85 HP Yamaha engine. Everything you need is provided, just bring some drinks and snacks. When thinking of the Caribbean, glistening reefs through clear water spring to mind. Capt. 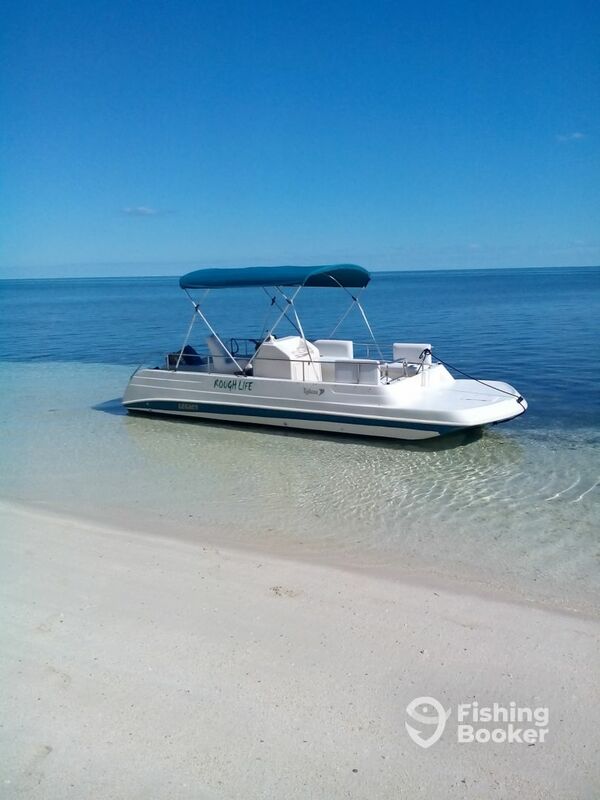 Kenny thinks so too, so he’ll take you to the most stunning reefs in the inshore and nearshore waters. You’ll be amazed by the diversity of marine life inhabiting these waters, from stingrays to turtles, tropical fish, and much more. 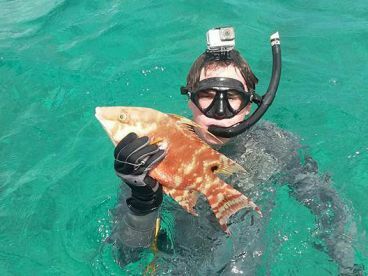 Fishing-wise, you can try bottom fishing, handlining, and even spearfishing to catch delicious Snappers, Groupers, and exciting Barracudas. Capt. 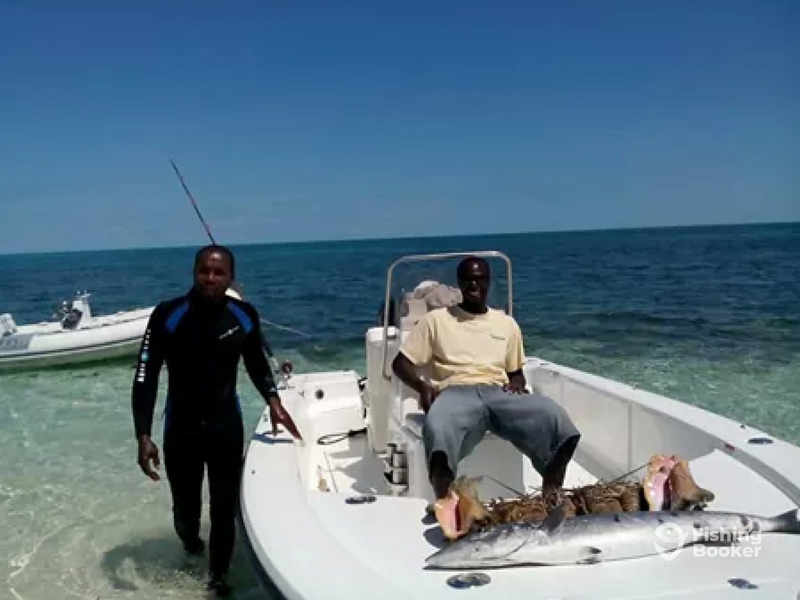 Kenny will gladly clean and fillet your catch to take home or back to shore. 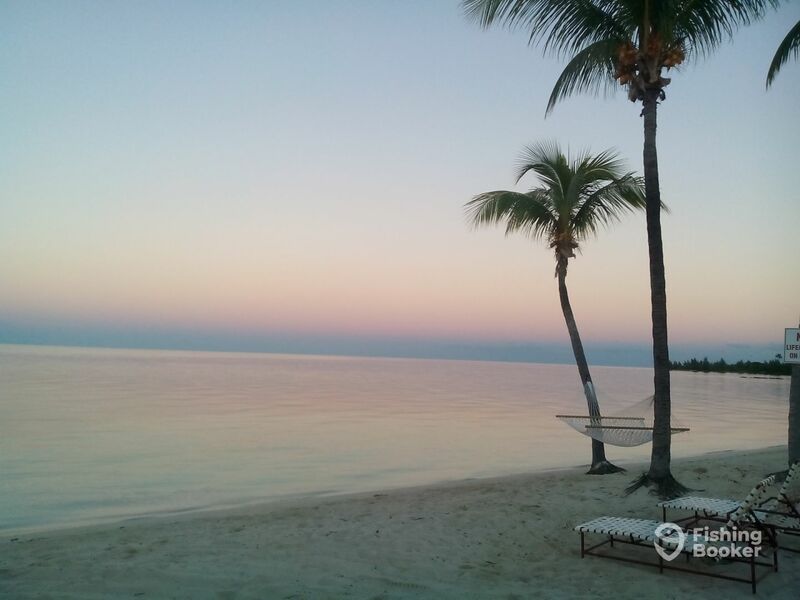 You may even end certain trips with Kenny preparing your catch for you on a desert island – or there’s always the option of heading to the popular Teaser’s Bar back on land. Whatever you choose with Rough Life, you’ll make unforgettable memories and the experience can go on as long as you want. 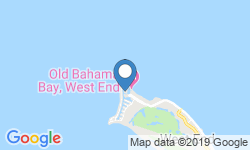 Come and experience The Bahamas in true, traditional style. This trip will see you eat your catch at the end of your trip at a destination of your choice. Whether it's a private island, or Teasers' Bar in Old Bahama Bay, you're in for a well-deserved lunch after a productive morning's fishing. 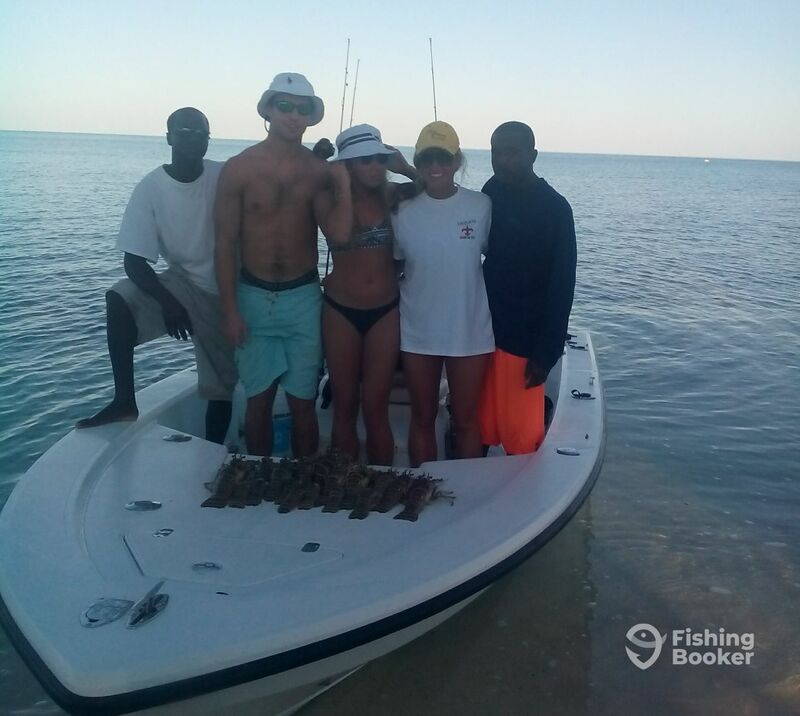 You'll hit the inshore and nearshore reefs to bottom fish, handline, or spearfish for delicious Snapper, Triggerfish, exciting Barracuda, and many more. Wake up with the sea breeze in your face as you speed off to the reefs for a morning's thrilling fishing. These waters are teeming with fish, so you'll likely get plenty of bites. Target delicious and exciting reef species, from Snappers to Barracudas. 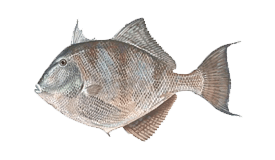 Try handlining, bottom fishing with a rod and reel, or even get in the water yourself and try spearfishing. 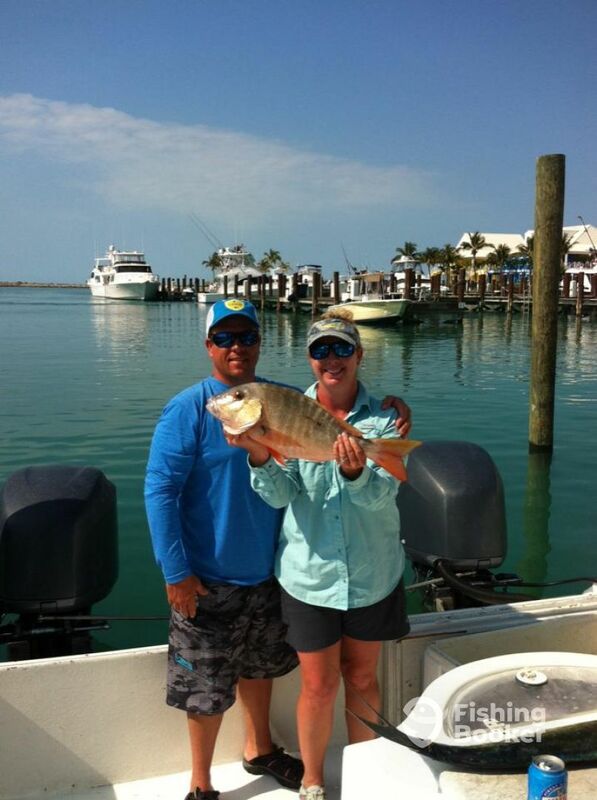 This trip has everything you could want out of a fishing trip. Legacy (Deck boat) построена в 2012. Мотор – 85HP Suzuki мотор. Having fished since he was 12, Captain Kenneth practically grew up on the water. It was only natural that he'd spend the rest of his life doing what he loved. He's been running fishing charters since 2001, so has plenty of experience of the local waterways and of what makes a successful charter. Whether you catch just enough for yourselves, or enough to feed the staff at Teaser’s beach bar, every trip so far has been a success. The best part of the job, says Capt. Kenny, is seeing his customers happy as they experience his way of life. 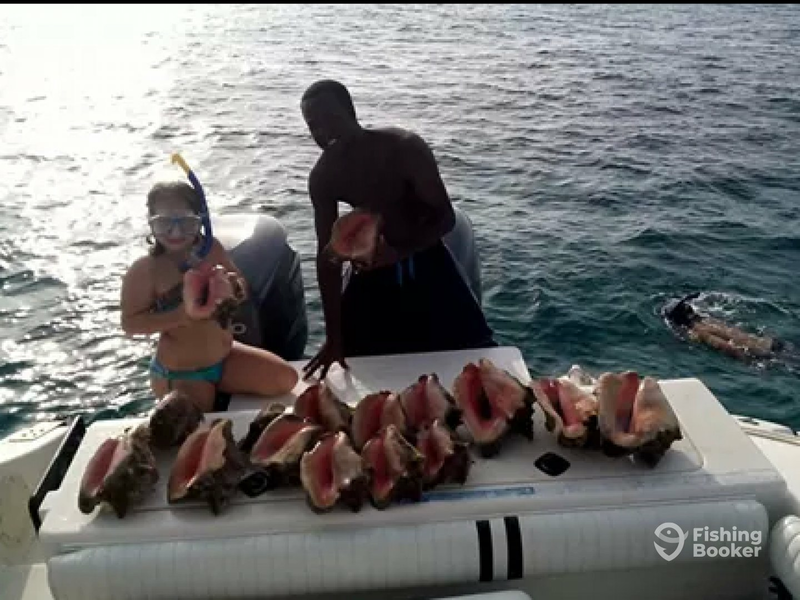 Because of this, he's determined to show his guests to a great time on the productive waters of Freeport. Captain Christi and his mate Brandon could not have been a better to Sharon and I. I was an absolutely fabulous trip. I cannot recommend them HIGHLY enough. Thanks for the memories, hope to do it again real soon.